So, you've been to the store and made Your Purchase, Now what? If you have bought your plant from a reputable, organic garden center. Just snip and enjoy! 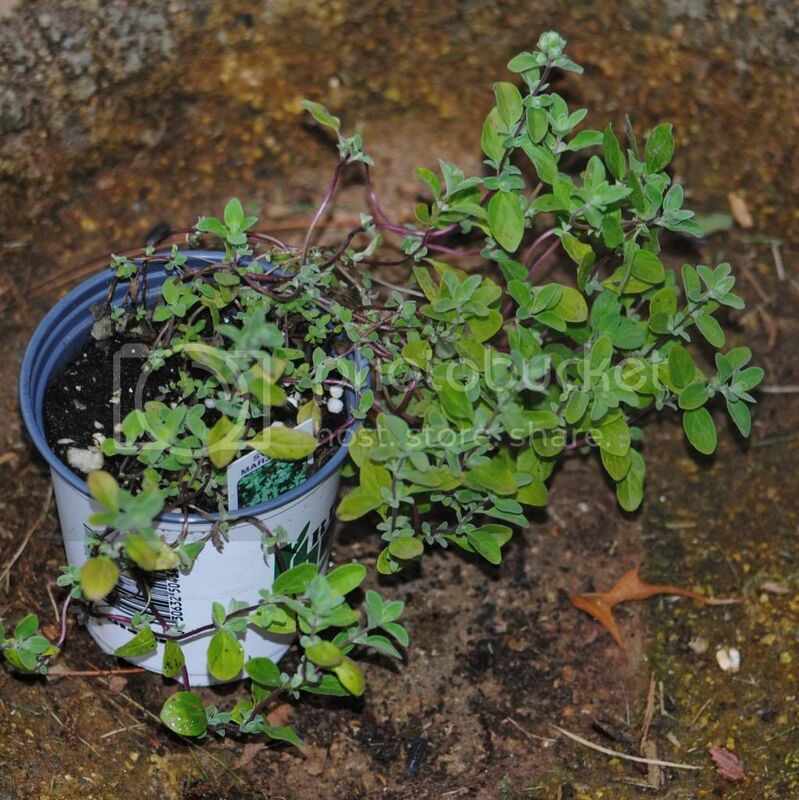 This is a marjoram plant I'm adding to my collection. 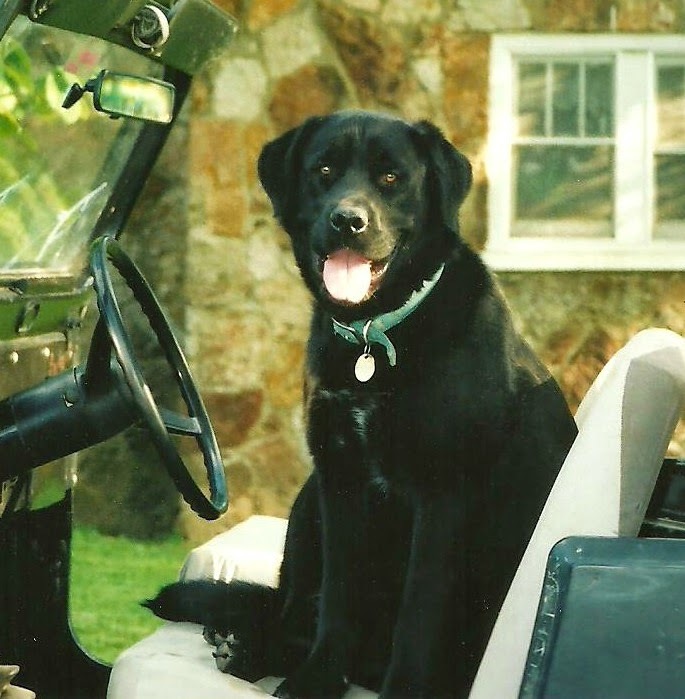 Poor Marj was found at one of those parking lot vendors that set up only for the summer. The prices were GREAT, but I want to warn you about something. Caution needs to be exercised with any herb that has not been grown organically. OK. 'Off my soap box and back to this post! Begin by giving your new plant a really good hair cut. Most plants can be cut as low as the bottom two leaves of the stem. Next, give your baby some growing room. 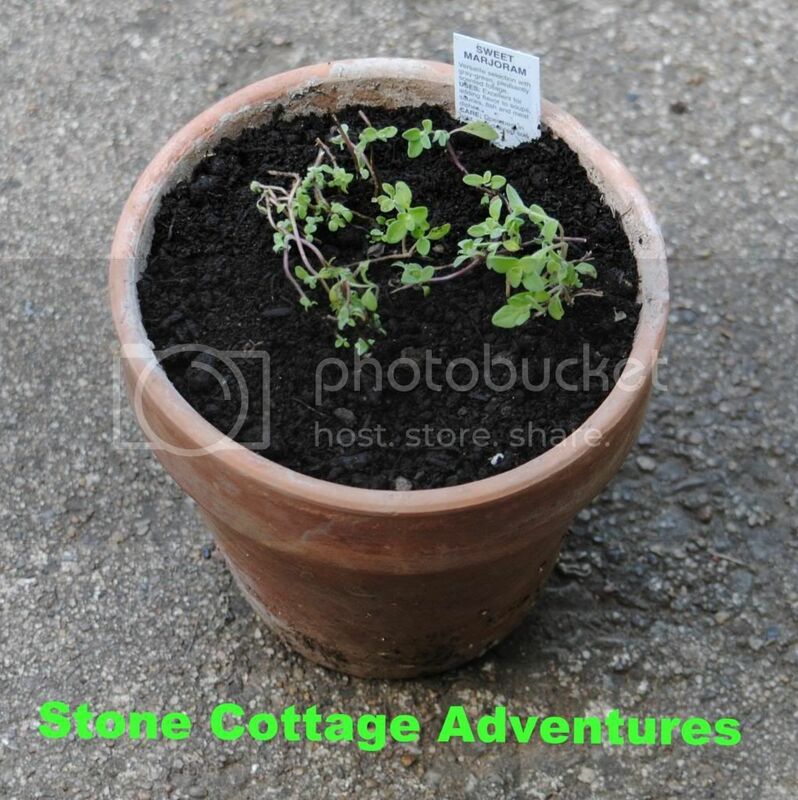 A general rule of thumb is to choose a pot that is at least 1 inch larger. Add some bling that can be used for this propagating method. At first the plant looks kind of scrawny, but don't be discouraged. 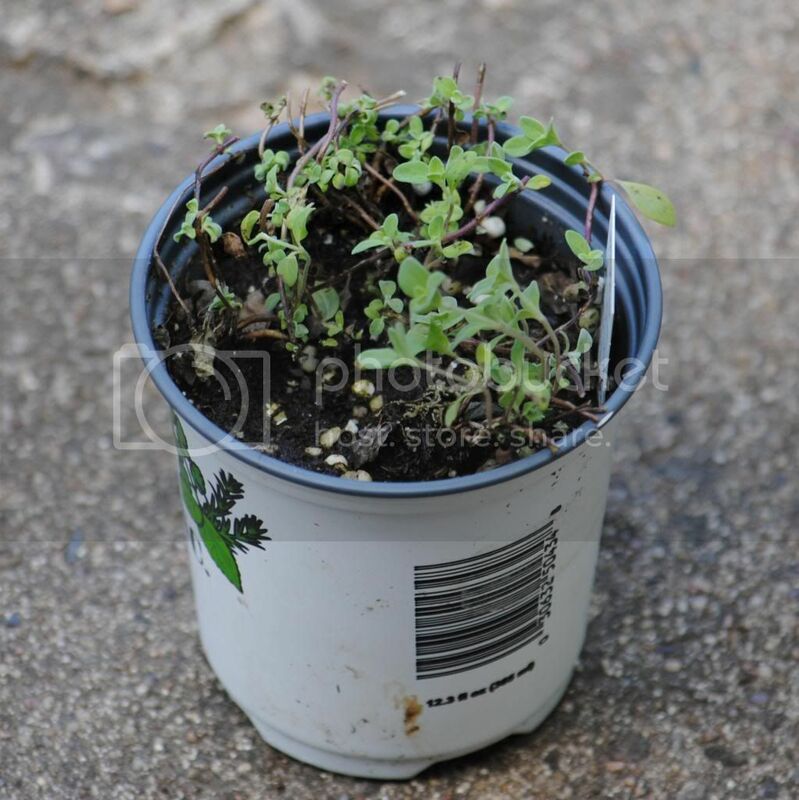 Before you know it, your new purchase will grow into her pot, and you'll have plenty of safe, tasty herbs. 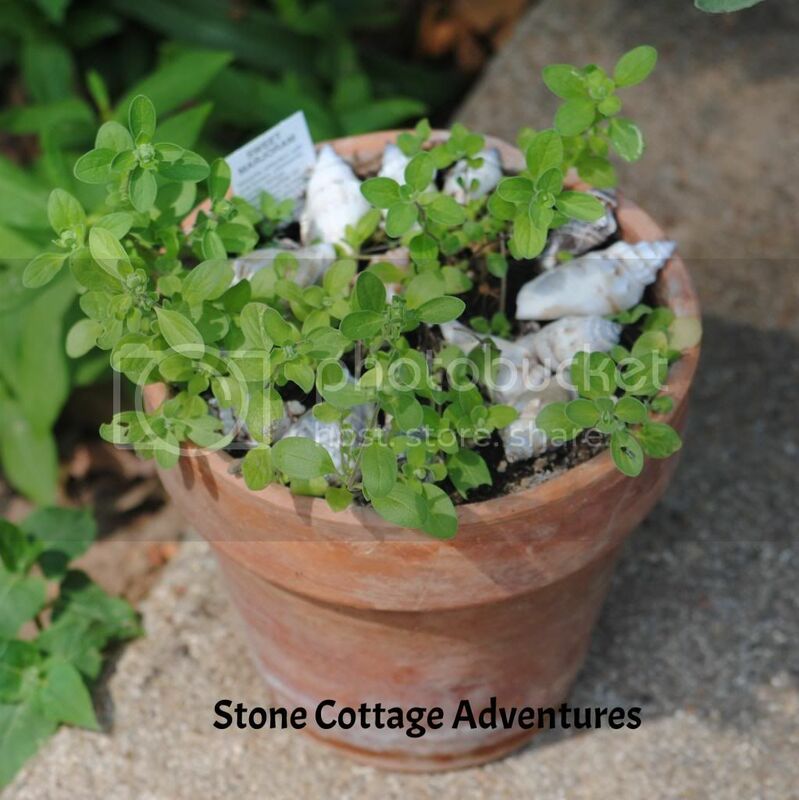 Remember to visit my Stone Cottage each week as I give tips on simple ways to bring herbs into your everyday life. Previous posts can be found on my Gardening Page and on my Recipes Page. Look for the ones titled "A Place to Begin". Thanks for the tips! 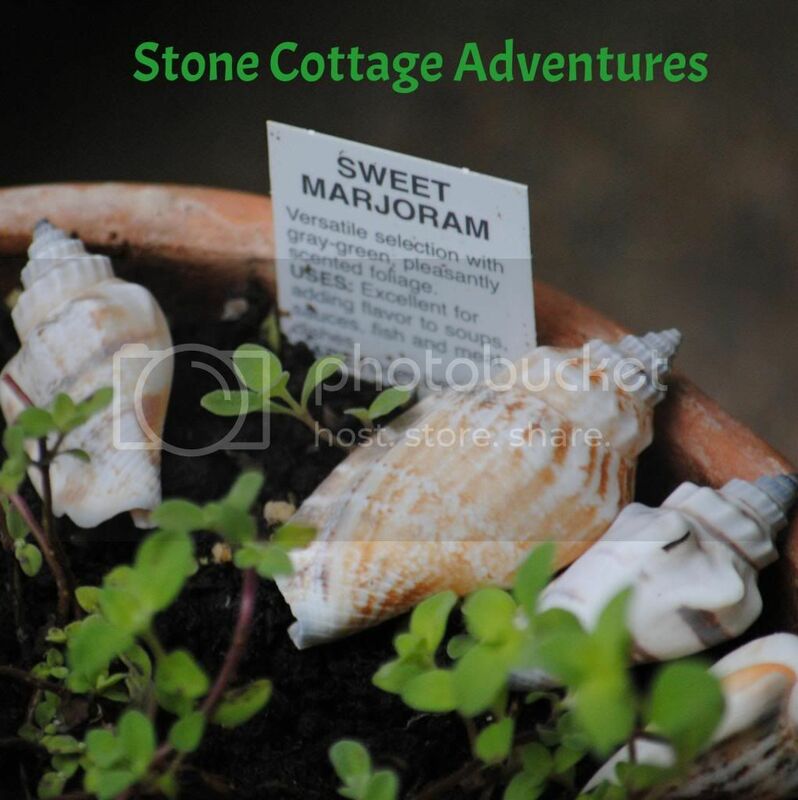 I love my herb garden, but haven't tried growing marjoram. 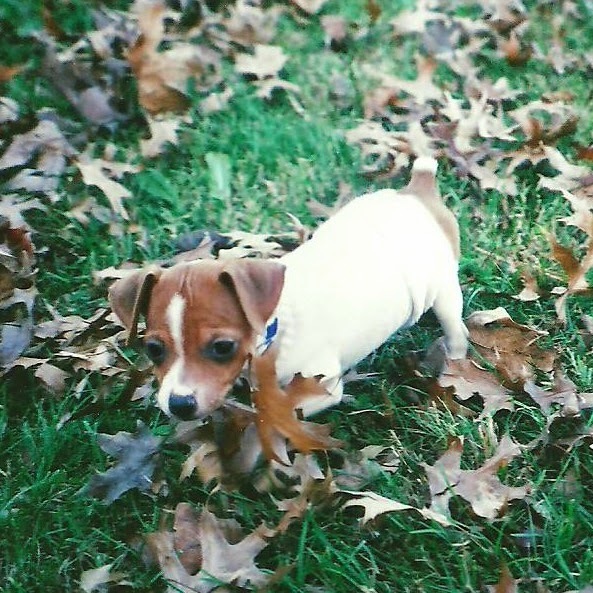 I'm a new follower on blog lovin from the Sunday Social Blog Hop! Always good tips and you cannot ever say to stop using chemicals too many times! Besides serving a purpose...your shells look great in the potted plant! Great tip! I'd never thought about that. When I get around to planting my herb garden (hopefully soon), I will definitely keep this in mind. I'm excited to see what other tips you have as well. Thanks for sharing! A timely post! 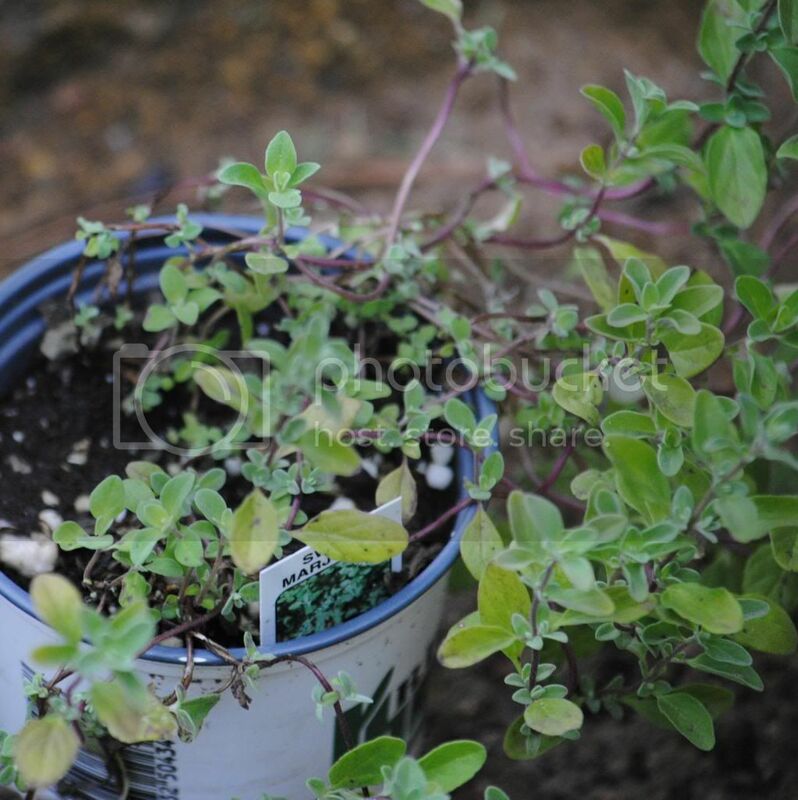 I just potted some mint that I salvaged from a dying, neglected plant. I picked out the best sprigs and rerooted them in water. Tonight they looked big enough to plant in soil. Fingers crossed! I love herbs, I love watching them grow and I so enjoy the scent! Love using them in my recipes too! PS I visit so often that I added you to my favorite blog list. Isn't is sad some of the horrible stuff that is allowed to be used on things we eat?!? Thanks for the great tips and ideas for when you find a great deal but are worried about what might have been used on it. Thanks for sharing on A Humble Bumble Healthy Tuesday's Blog Hop!